There are three main types of solar panel in commercial production: monocrystalline, polycrystalline, and amorphous. They all have some advantages and disadvantages, which we will discuss in this article. All three are based on silicon semiconductors - the difference being the form that the silicon is in. Panels based on other chemistries are under development: Cadmium telluride and copper indium diselenide panels may well appear in production soon; and also research is being conducted on using the photosynthesis effect that plants use to convert sunlight to useful forms of energy. However, you are unlikely to come across technologies other than silicon for the time being, so we will just consider silicon on this page. 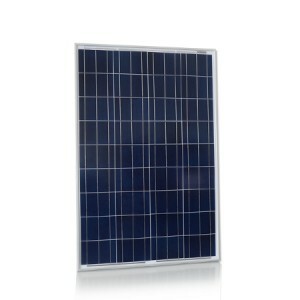 Best-value 100W solar panel with silver frame and polycrystalline cells built to our own specifications. Suitable for 12V systems. 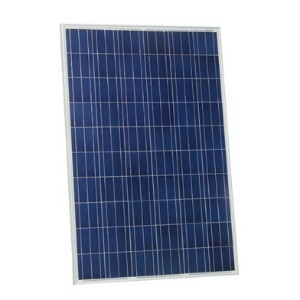 Best-value 160W solar panel with silver frame and polycrystalline cells built to our own specifications. Suitable for 12V systems. 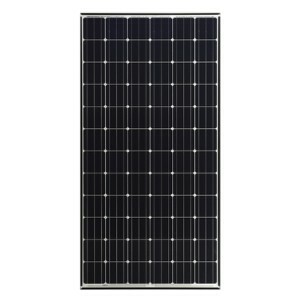 A sleek and affordable, all-black 100W monocrystalline solar panel built to our specifications. Complete with German solar cells that ooze quality. 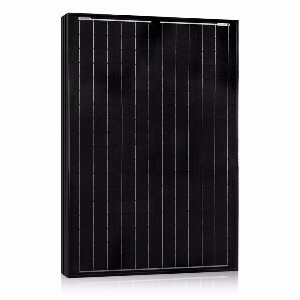 A sleek and affordable, all-black 200W monocrystalline solar panel built to our specifications. Complete with German solar cells that ooze quality. 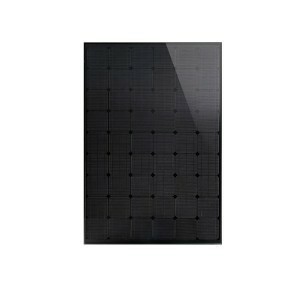 From the hugely popular Panasonic company, comes these 245W monocrystalline solar panels. These hybrids are the highest efficiency silicon panels available, combining mono-crystalline and amorphous layers to provide higher power outputs and smaller panels. Unbelievable 25 year product warranty! The newest type of panel is based on amorphous silicon. Here, the silicon atoms are not ordered in a crystal lattice at all. The production methods are quite different - instead of growing crystals, the silicon is deposited in a very thin layer on to a backing substrate. Sometimes several layers of silicon, doped in slightly different ways to respond to different wavelengths of light, are laid on top of one another to improve the efficiency. 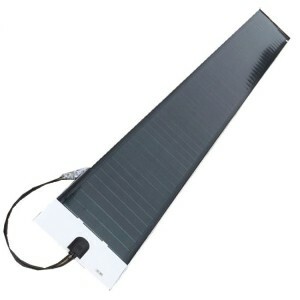 The production methods are complex, but less energy intensive than crystalline panels, and prices should come down as panels are mass produced using this process. 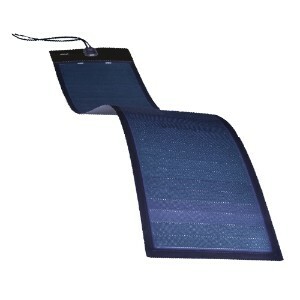 One advantage of using very thin layers of silicon is that the panels can be made flexible. Panels are available that can be curved to the bend in a roof for example, or even attached to a flexible backing sheet so that they can be rolled up and put away when they are not needed! The disadvantage of amorphous panels is that they are not as efficient per unit area as monocrystalline panels - typically you would need nearly double the panel area for the same power output. Having said that, for a given power rating, they do perform better at low light levels than crystalline panels - which is worth having on a dismal winter's day. At least one manufacturer now produces a hybrid panel, where a layer of amorphous silicon is deposited on top of single crystal wafers. 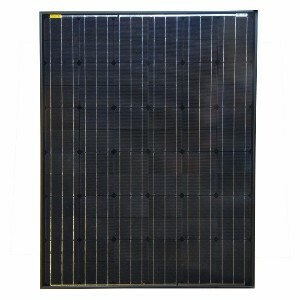 This gives some of the advantages (high power, but still efficient at low light levels) - and some of the disadvantages (not flexible and relatively high price) of the different types of panels.